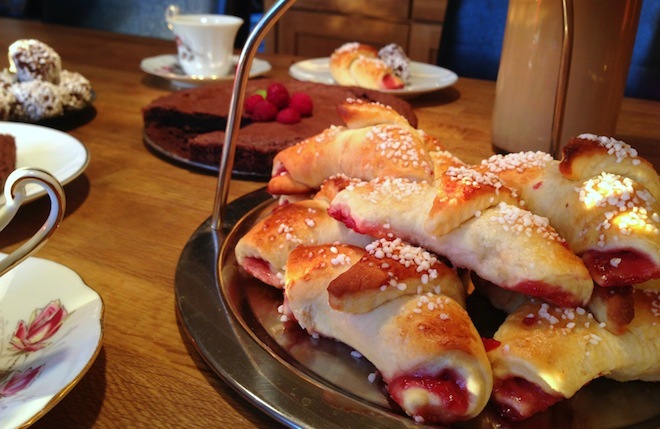 The second recipe in our Swedish Fika recipe series by Simone Larsson are Favoritgifflar. They literally translate as Favourite Buns, and are a common feature at the Fika table. They are so moorish and the best part about them is you can tailor the filling to your tastes (Simone provides some suggestions below). Enjoy! Mix the butter and sugar together until fluffy, then add the eggs. Mix the yeast and milk, then add to the mixture. Add flour, little by little and then knead the dough. Split the dough into 6 pieces and roll them out to a round and flat shape (as per above). Cut all 6 pieces into 8 pizza slices. 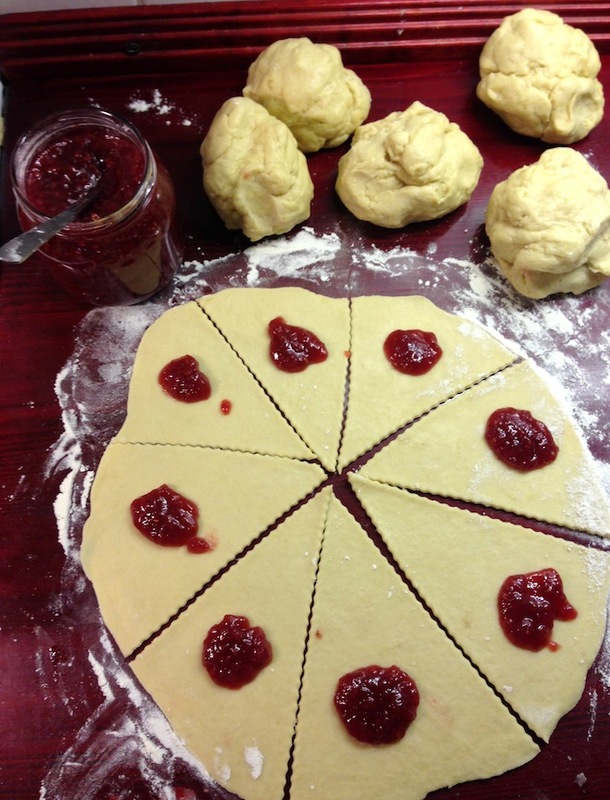 Add your jam (or filling of choice*) on top of each slice and roll it. Leave the slices to rest for 40 minutes, then add the glaze and heat in the oven for 5 minutes. *Notes: The filling here could almost be whatever you want – your favourite jam, apple sauce, chocolate, nutella, etc.